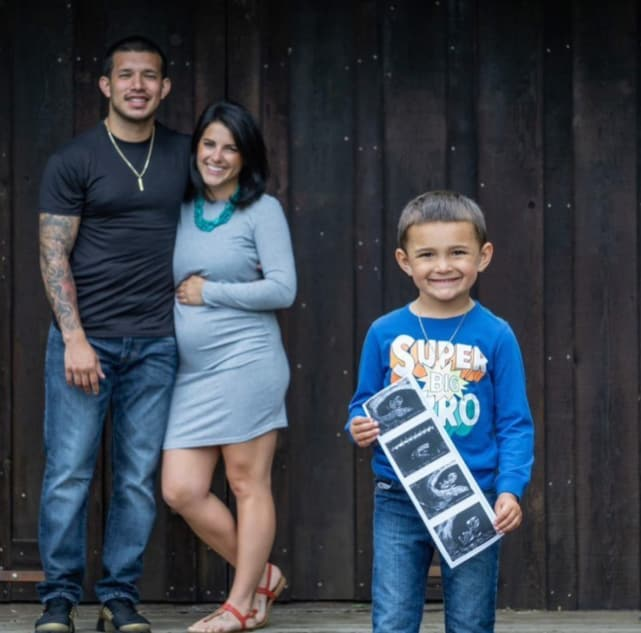 So hey, how are you feeling about the big news that Javi is going to be a father again? It seems like good news, for the most part — Javi and his girlfriend, Lauren Comeau, are happy about it, at least. 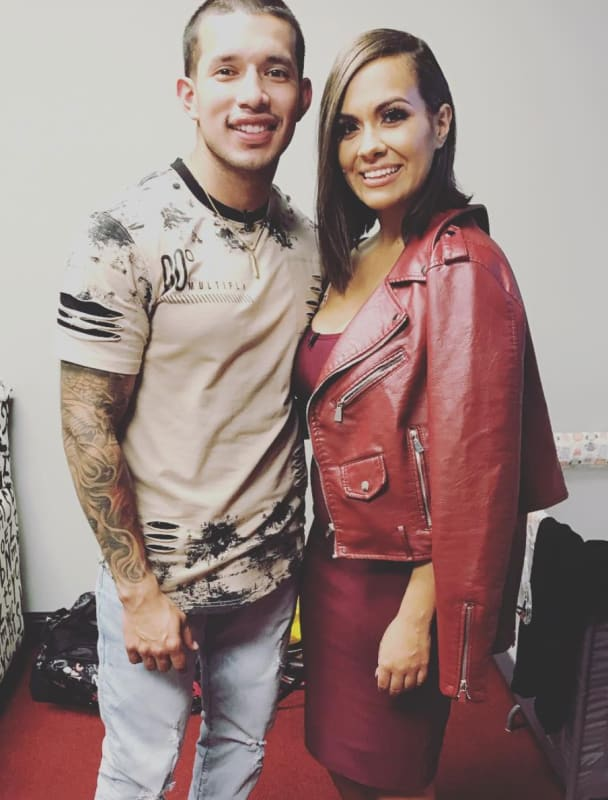 But there are still a lot of questions about the whole thing, because wasn't he dating Briana DeJesus and/or trying to get back with Kailyn Lowry not too long ago? It's a whole lot to unpack, and a lot of people have a lot of feelings about it all. So let's just get into it, all right? 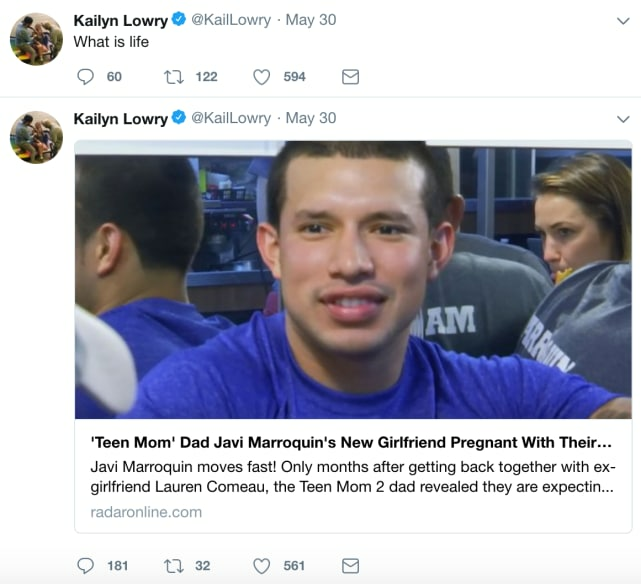 Yeah, so Javi is having a baby with Lauren Comeau, that girl he dated long distance for a few weeks last year before getting with Briana DeJesus. They started dating again in March, and now … well, now this is happening. So he and Briana broke up in January, he and Lauren began dating again in March, and this is what’s happening now, less than three months later. Kailyn responded to the news by sharing a link and asking “what is life?”, which seems fair. She did add that she already knew about the news, and that she wishes Javi and Lauren well. In an official statement, Briana said something similar, telling Us Weekly “I’m happy for them. I wish them nothing but the best. I don’t wish it was my baby.” Cute, right? 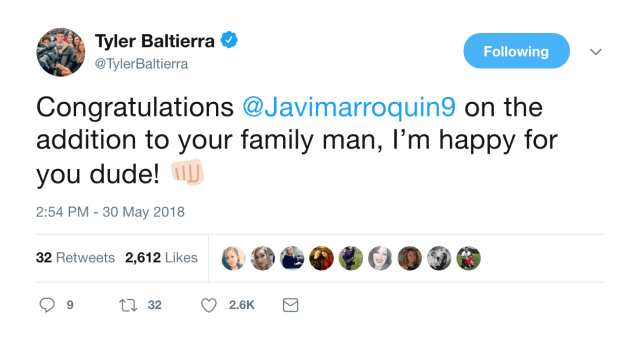 Tyler Baltierra from Teen Mom OG was quick to offer a nice word — like a genuinely nice word, not the weird cattiness that Javi’s exes have been offering. 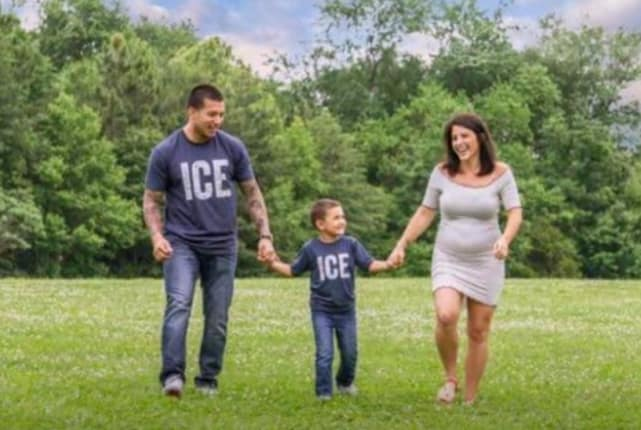 Taylor McKinney, Maci’s husband, gave him a shout out as well.